The inner tube market is very competitive, with business often going to the guy with the lowest price, down to the last nickel. 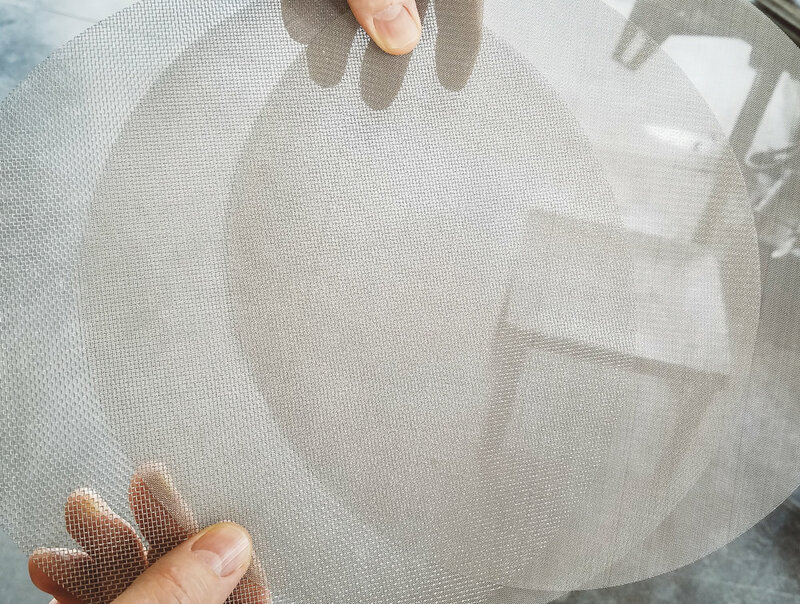 Diluting butyl rubber with cheap additives, and trying to accelerate the manufacturing process are cost-cutting tricks that result in random thin sections of tube and/or inadequately filtered material. Contaminated material means holes can develop simply by riding along. Cheap tubes have cheap valves to match, which may leak “right out of the box”. Even with good materials, quality can vary greatly, even within a single factory and must be monitored closely. 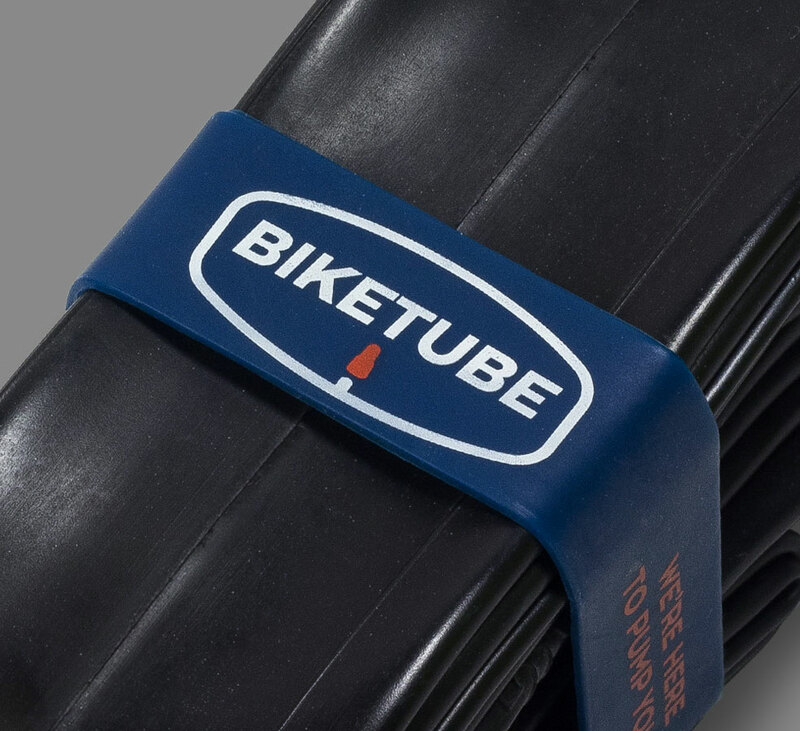 How does Biketube Brand ensure their inner tubes are the very best? 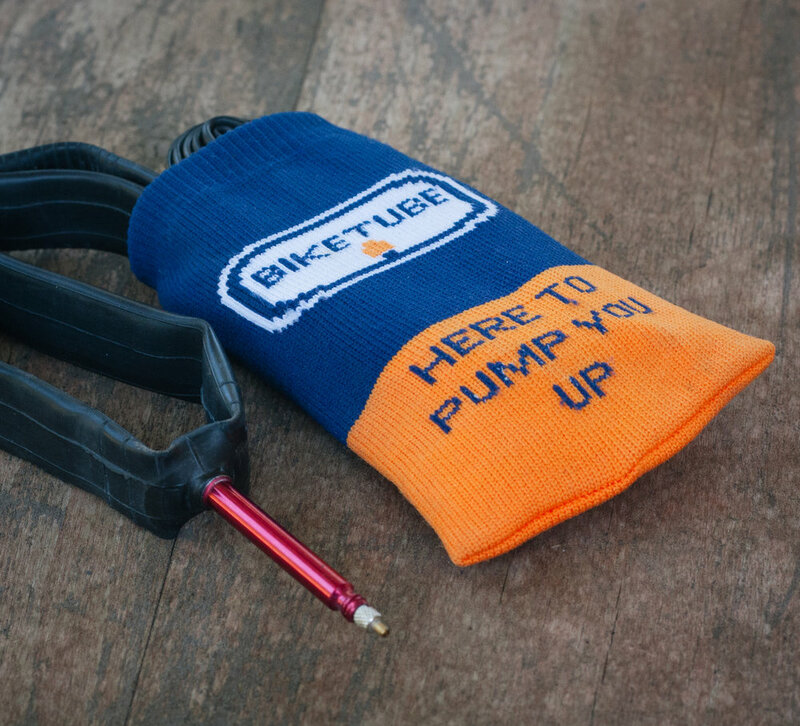 Every Biketube Brand inner tube starts with 100% butyl rubber, a synthetic rubber known for air retention and toughness. Our butyl is filtered three times to remove impurities. We use only brass or 7000-series aluminum valves made by world-class valve specialist, Luhai. Every tube we sell is inflated to 135% of its normal size, left for 24 hours, and then checked for leaks. Each is inspected for uniform shape and the wall thickness is not allowed to vary by more than 0.04mm. We visit our suppliers’ factories to oversee quality, and we hire independent experts to be there when we’re not. We use our own products daily and have a small army of avid cyclists constantly field testing for us. Every Biketube Brand tube gets an extra coating of talc to help prevent it from pinching between the rim and the tire bead (a common installation error), and to keep it from sticking to the tire. Our packaging is simply a high-quality re-usable silicone band. These bands cost up to ten times more than disposable boxes or shrink wrap, but they keep our tubes compact for the long haul and take up minimal space in your bag. Any inner tube is vulnerable when exposed to sharp objects so we developed our patent-pending TubeSock to help keep them safe prior to use. TubeSock is elastic and abrasion resistant, fits a wide variety of tube sizes, and is free with orders of five or more tubes. All men are created equal. 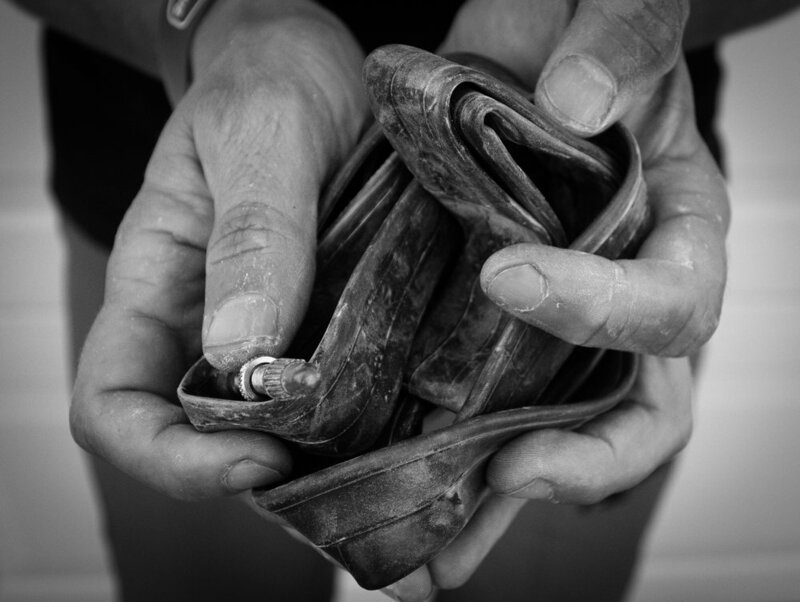 Inner tubes…not so much!